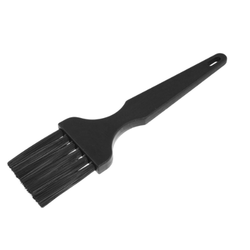 - Width: 10" - 40"
We are presenting an excellent quality assortment of Hog Bristle Brush. The conductive static brush gives the static charge a path to the ground. When a charge is generated on a surface such as plastic film, a well grounded static brush mounted very close or touching the film minimises the charge by sending it to the ground. 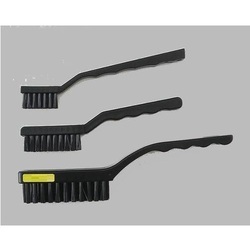 ESD Brush are used to protect Sensitive electronics component products form the static charges while working.